Paramount to the productivity and well-being is good health. An unhealthy workforce cannot produce and the “burden” on the State is enormous. Perhaps this reeks a bit of a chicken and egg situation. Which indeed comes first: the well-being of an economy or the well-being of its citizens? The Caribbean is not without major health problems. Like any other developing nation, the region itself is beset with Non-Communicable Chronic Disease and is known as second only to Sub-Saharan Africa regarding the prevalence of HIV/AIDS. That said, enormous in-roads have been made in the education and awareness of our publics regarding the prevention of HIV/AIDS and patients can now look to better quality care through medical interventions. PANCAP and other organizations within member-countries of CARICOM are making tremendous in-roads when it comes to forewarning the public about the dangers of HIV/AIDS, its transmission and ultimately its effect on health. Much work is still to be done. Similar efforts are being made across the region as it relates to NCDs. There is no island country in the region untouched by NCDs and the complications therein, from heart disease to diabetes, hypertension to strokes, Caribbean people are suffering untold hardship and health problems. In Barbados alone, Dr.Anthony Harris, cardiologist reported that as many as 11 heart attacks occur each month with as many as 49 strokes a month, many fatal. Type-2 Diabetes is ravaging even our young children. Amputations and complications persist in a regional population whose diabetes is out of control. Thus, it is our considered opinion that it is critical that our people are healthy first before we even consider how wealthy or “healthy” our debt to GDP ratio looks across the Caribbean. The reality is that the beat goes on. We all have to work and the region is in recession, so that unwell and tired folk are still going to work, some are unable to meet their health care bills and properly look after their health. How do we toast to a new 2014 in this atmosphere? We simply cannot continue to report and write about breakthroughs and ignore the stark reality that this is a region beset by mainly NCDs, a higher than usual rate for cervical cancer deaths and other ills. So we will continue to advocate and agitate for greater emphasis to be made on the education of our people as regards prevention. We agree then with our government spokespersons that a healthy economy is a productive one and perhaps more education is needed coming out of government institutions and NGOs to educate the general public and all key stakeholders about the very real dangers of NCDs, HIV/AIDS, cancers and other illnesses which are potentially fatal if uncontrolled or just by the very nature of the disease. Since this is “the season to be jolly”, there will likely be more consumption of alcohol and unhealthy foods over the next few weeks. 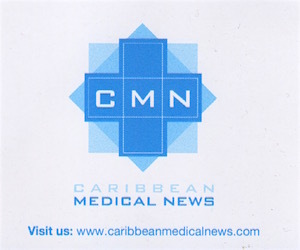 We at Caribbean Medical News remain concerned that there are also alarmingly high rates of road fatalities at this time, most of them due to a deadly cocktail of speed and alcohol. We look forward indeed to the day that the Breathalyzer is part of the Road Traffic Act(s) within our region. In the interim, the only way 2014 can be prosperous for us is if we are all in good health. We need to heed the advice of our health carepractitioners and the experts, we need to embrace a healthy lifestyle, we need to change our diets, we need to exercise and take up activities that reduce stress. They say resolutions are made to be broken so then we need to make a commitment, then perhaps we will see a return to good health and healthy practices. When we take our one shot at life on this earth, perhaps we will acknowledge that we are passing through and should look after the one body that we “own”, a body prone to be ill, deteriorate and die. While many celebrate the birth of Christ at this time, let us also take time to reflect on the gift of good health and to make a commitment to embracing this in our own lives. Many of us in the medical fraternity are notorious for living unhealthy lives filled with packed days, stress and no exercise. Let us too make a commitment, much like the one we make to our patients to First Do No Harm and move on to make changes in our lifestyle consistent with the good health. To all a Blessed Christmas season and to all a prosperous, healthy 2014.